At this year’s New York Auto Show, we can find some latest crossovers and SUVs from GMC, Infiniti, Lexus, and more. It’s including the long-awaited Lexus RX, facelift of GMC Terrain, and Infiniti QX50. So, what’s new inside ’em? 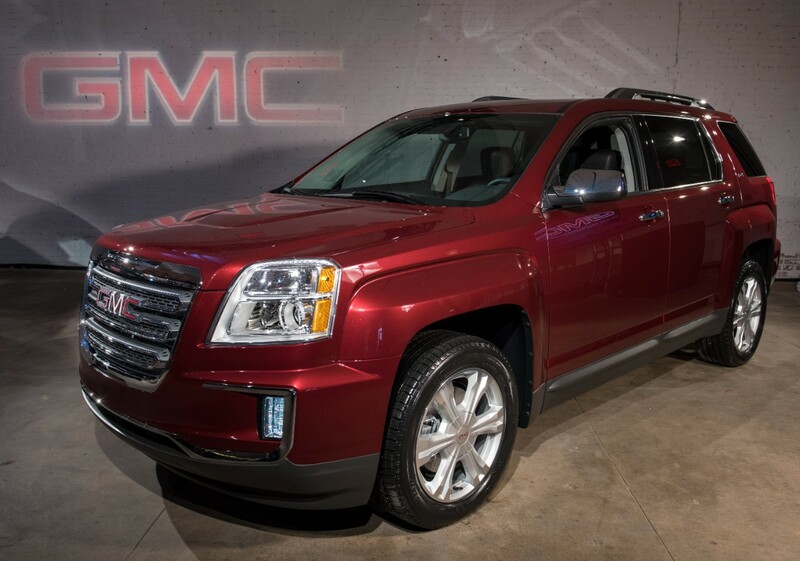 GMC has refreshed its 2016 Terrain. The minor updates are on the exterior, interior, equipments, and color. Up front, the Chevy Equinox sibling gets new ‘face’. The front bumper gets redesign and now comes up with C-shaped and chrome accent. Furthermore, there are power dome hood, LED Daytime Running Lights, and new 18- and 19-inch aluminum wheels design. For SLE, SLT, and Denali models will get a new chromed grille design. At the rear, there’s a chromed bumper with C-shaped design. And for SLE, SLT, and Denali models there are dual-exhaust and chrome accent above the taillights. Plus, the mid-size crossover now has new color options, White Frost Tricoat and Crimson Red Tintcoat. In the cabin, 2016 Terrain comes with new instrument panel and new center console with new graphic control and storage shelf. Moreover, there are a new chromed transmission shifter, and premium cloth seat fabric. For SLT model, it will get Saddle Up leather interior and 8-way power adjustable front seat. And for Denali variant, buyers to get a new Light Titanium and Jet Black color combination in the interior. 2016 GMC Terrain features Side Blind Zone Alert Crossed Traffic Alert for SLE, SLT, and Denali models. The crossover is still bring same engine options, Ecotec 2.4 loter produces 184 hp or V6 3.6 liter with 301 hp output. 2016 GMC Terrain will go on sale this fall. 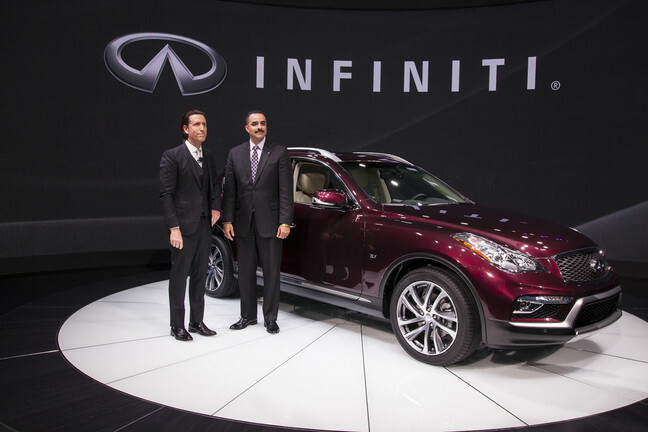 Infiniti just revealed facelift of 2016 QX50 at 2015 New York Auto Show. So what’s new here? The most notable is its dimension. It’s 3.2 inches longer than the previous model. And it makes QX50 interior is 8.3 cubic feet roomier. Plus, its legroom is 4.3 inches bigger now. Its exterior design now comes up is more elegant design with new front fascia, LED Daytime Running Lights, redesigned headlights, a new grille, new side mirror that is integrated with LED signal lights, new 19-inch wheels, a new rear bumper, and more. There’s nothing new under the hood. 2016 Infiniti QX50 is still bring VQ37VHR V6 engine 3.7 liter producing 325 hp. The engine is mated to 7-speed automatic transmission. 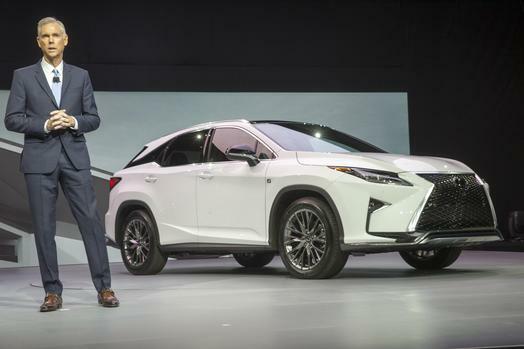 The long-awaited 2016 Lexus RX finally breaks cover at 2015 New York Auto Show. Lexus hopes its crossover can be more successful than its predecessor. If the last two previous generations the RX is just re-badged of Toyota Harrier, the new RX is no more. Now, it brings the Lexus’ design language that we’ve already seen in NX. But its exterior design isn’t like its younger bro. Overall, the new RX looks more dynamic and more elegant. Up front, there’s L-shaped LED headlamps accompanied by LED Daytime Running Lights and oversize grille that makes me wonder which is bigger RX grille or NX grille. From side, we can see new 20-inch wheels that is customizable and ‘floating’ D-pillar line that is becoming trend in car industry. At the rear, Lexus designers give more aggressive design with L-shaped LED taillights and sculpted lines. Inside, there’s a brand new design that looks nice and elegant. 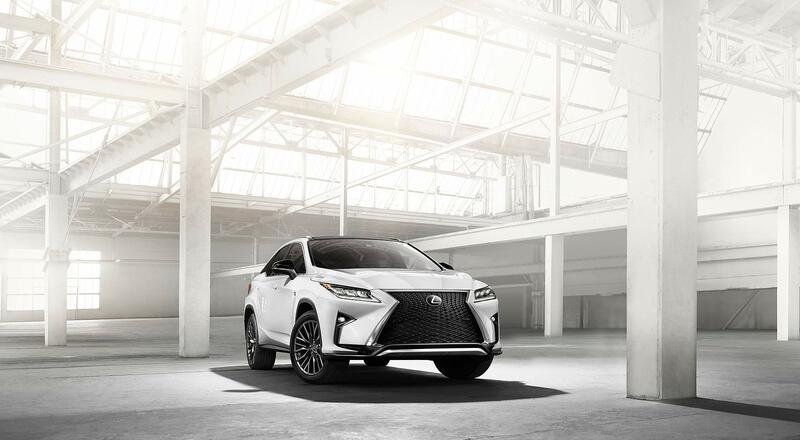 According to Lexus RX Chief Designer, “Even while ensuring a high level of luxury and space within the cabin, the RX’s silhouette remains sleek and dynamic, while the interior has been designed for easy operation with luxurious execution.” Now 2016 RX features head-up display that will inform driver right onto driver’s windshield. In center cockpit, there’s an 12.3-inch display which will show full map.As a luxury vehicle, Lexus immerses a lot of safety systems, such as Pre-Collision System, Lane Departure Alert, Automatic High Beam, Lane Keep Assist, Dynamic Radar Cruise Control, and many more. For the engine, Lexus engineers put upgraded V6 3.5 liter that produces 300 hp and mated to 8-speed automatic transmission. And for RX450h (Hybrid), there are 3.5 liter V6 engine and electric motor. Its ouput is same to RX350. Do you think current Mitsubishi Outlander is boring or weird? 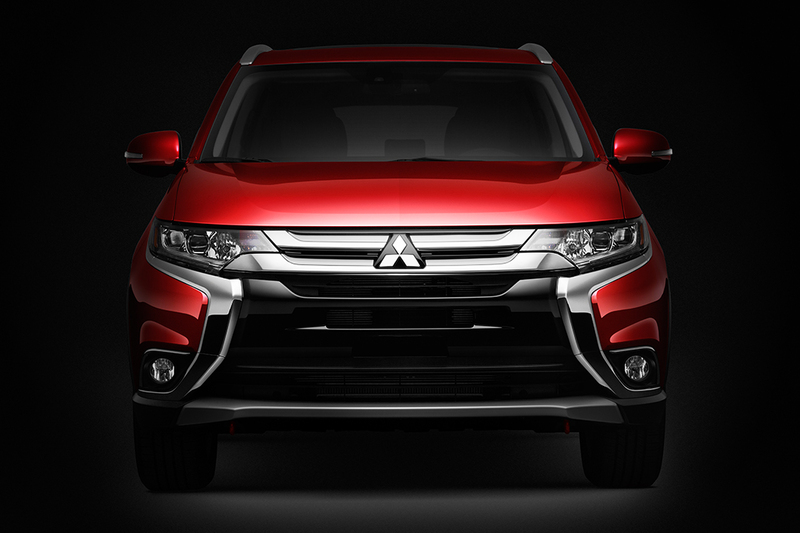 If yes, so check the 2016 Mitsubishi Outlander that made its debut at 2015 New York Auto Show. The refreshment makes the Outlander is way more handsome than the current one. Even though it’s just a facelift, but the Japanese carmaker makes it like an all-new. The exterior design is totally change. Front, there’s no more an awkward front fascia. Mitsubishi designers replaced it with more elegant and mature design. There are LED Daytime Running Lights, new headlamps design, new front bumper, and chromed grille.From side, we can see that its line design is same with the previous generation. The 18-inch alloy wheels make latest Outlander look tough and muscular. At the rear, there’s an elegant design with LED taillights and new rear bumper. In the interior, the carmaker put the redesigned steering wheel, accent trim, seating surface, display audio system, and more. Mitsubishi improves the serenity in the cabin adding sound-deadening throughout the interior, a new noise-isolating windshield and rear door glass, and better weather stripping, and engine compartment trim. Under the hood, 2016 Mitsubishi Outlander has the same engine like the old one. There’s a MIVEC 2.4 liter producing 166 hp. Toyota has a small surprise for the crowd in New York Auto Show. 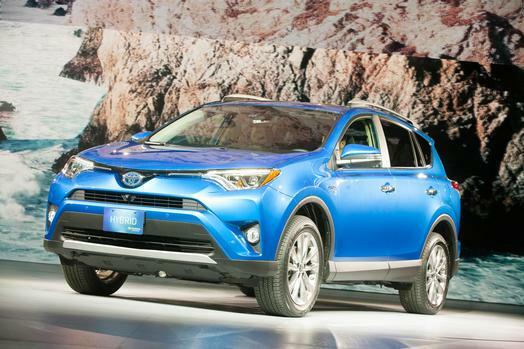 In the annual auto show, the Japanese automaker unveiled the refresh of 2016 RAV4. It’s just a minor updates for the regular models. The exterior changes are now the SUV features smaller LED headlights, LED Daytime Running Lights, and hi-lo headlamps. At the rear, we can find a new rear bumper along with redesigned LED taillights, and rear silver skid. Inside, latest RAV4 features more premium material and color options. Furthermore, there’s an 4.2 inches TFT display that will show Multi Information Display, new gauge cluster, leather steering wheel, and 7-inch touchscreen in the center cockpit. For hybrid model, there’s a new powertrain. Now, RAV4 Hybrid is powered by 2.5 liter engine and electric motor that is placed in rear axle to deliver electronic all-wheel-drive system. Unfortunately, Toyota hasn’t released the number for hybrid’s power and fuel consumption. Next Next post: 2016 Chevrolet Camaro Breaks Cover!